Cindy Dvergsten, co-owner of Arriola Sunshine Farms, feeds her Navajo-Churro sheep a treat. The sheep, a threatened breed, are descendants from Spanish sheep, but through the centuries, they have adapted to the arid Southwest and are able to live on rangeland. They have many qualities to offer a small producers like Dvergsten and her husband, Mike Rich. The couple has about 50 head on their 5 acres in the Lewis-Arriola area. 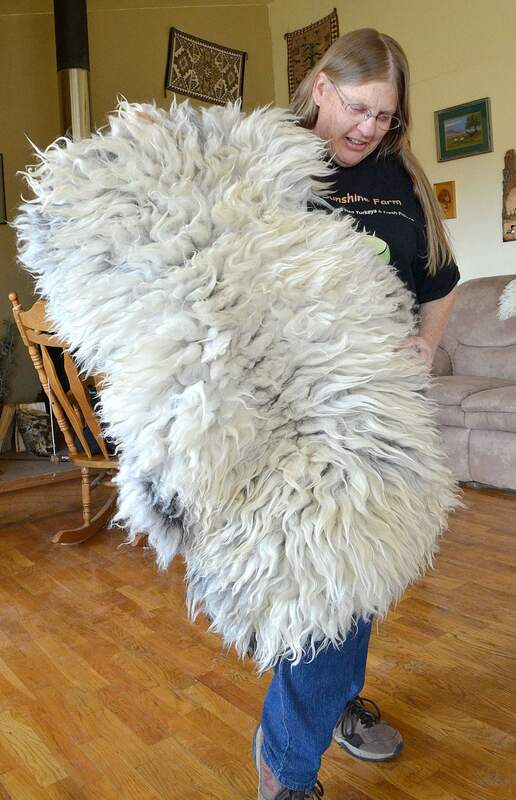 Cindy Dvergsten, co-owner of Arriola Sunshine Farms, with a Navajo-Churro hide. The sheep have many qualities to offer a small producers like Dvergsten and her husband, Mike Rich. The couple have about 50 head on their 5 acres in the Lewis-Arriola area. A lamb nurses from his mother. The unique colors of the Navajo-Churro are sought after to make rugs. 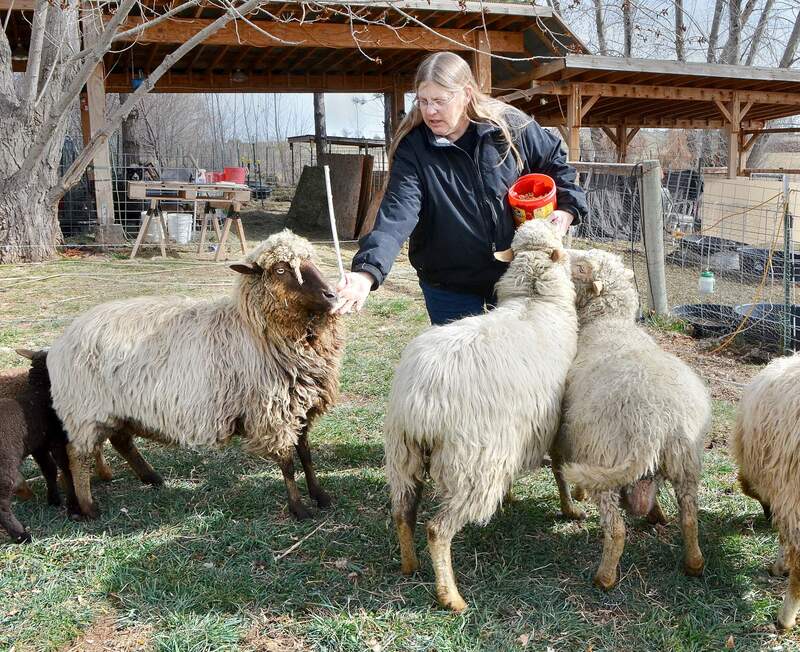 Navajo-Churro lambs explored a pasture for the first time Friday as Cindy Dvergsten, owner of Arriola Sunshine Farm, explained that they’re the next generation in an ongoing effort to preserve the breed. “I’m just really into keeping agriculture alive, and one way we can do that is by diversifying and finding markets for these different kinds of breeds,” Dvergsten said. The Navajo-Churro sheep descend from Spanish sheep, but over the centuries, they have adapted to the Southwest and are able to live on rangeland. They have many qualities to offer a small producers like Dvergsten and her husband, Mike Rich. The couple has about 50 head on their 5 acres in the Lewis-Arriola area. The sheep are deeply embedded in the Navajo culture and had a healthy population in the centuries after they were introduced. However, by the 1970s, there were only 500 Navajo-Churro left. Lyle McNeal, of Utah State University, began an effort to save the sheep, and now 4,500 have been registered with the Navajo-Churro Sheep Association, and an estimated 1,500 live in the Navajo Nation. Despite this recovery, the Navajo-Churro is still listed as threatened by the American Livestock Conservancy. The numbers of sheep within Montezuma County have followed a similar decline. In 1930, there were about 87,000 sheep in the county, and in 2007, there were 5,500. Dvergsten has been working for many years to help to reverse both trends by helping to get new producers started. This year, she is working with three new producers in the region. Through the years, she has began 15 sheep operations. Dvergsten has worked as a farming and business consultant for about 20 years. So she is able to help large and small farmers plan for financial success. The Navajo-Churro sheep have a lot to offer a small producer interested in a niche market. “By going to niche markets and marketing directly, you’re selling on quality and value,” Dvergsten said. 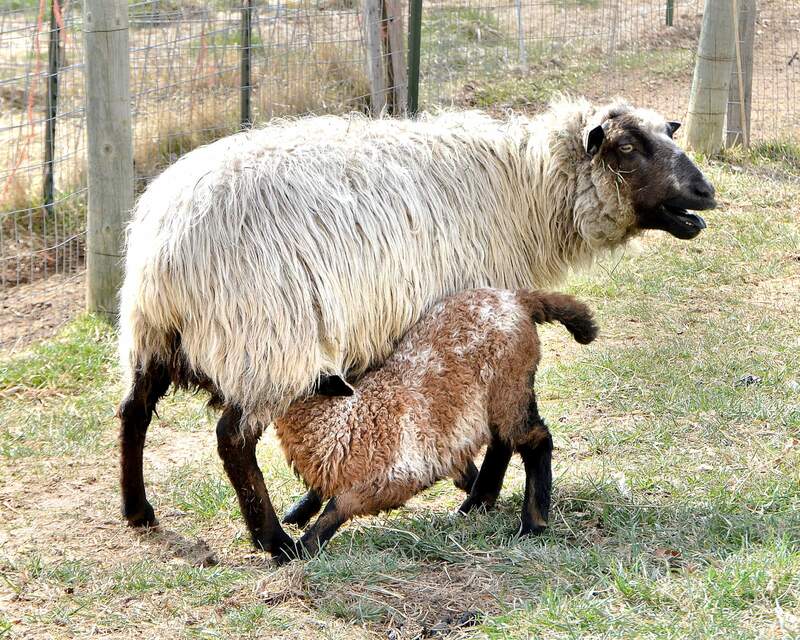 Unlike some commercial breeds of sheep, the Navajo-Churro sheep have strong instincts and immune systems. “They just don’t take as much care, they are not as fragile,” she said. In addition, while commercial sheep are bred for one quality, Navajo-Churro sheep produce marketable meat, wool, hide and horns. Artisans interested in spinning, weaving and felting seek Navajo-Churro wool for its natural color, which ranges from rich browns, reds and blacks to white. It can be made into a range of things, including horse cinches, ropes, fine-art items and crafts such as Christmas ornaments. It is known for its use in rugs made by Navajo artisans. Locally, Dvergsten also sells the sweet lamb meat. “It has its own unique flavor, which is sought after by restaurants and chefs,” she said. The breeding stock is also valuable as producers work to bring the breed back. Dvergsten also works with the Navajo people to start and support sheep operations and as a board member with Diné Bé Iiná, Navajo Lifeway. The group organizes the Sheep is Life festival in June. It is a celebration of Navajo and other sheepherding cultures around the world. “Not only are we trying to sustain a breed, we are trying to sustain a way of life and a culture,” she said.